Breaking up isn’t always a bad thing. Some breakups are healthy and this certainly rings true when it comes to your sales career and your pipeline. Knowing when to say goodbye is imperative to prioritizing your leads and making the most of your time. Recent research shows that knowing when to cut ties with your prospect and focus on the right opportunities can significantly improve conversion rates. High-performing organizations that focus on prioritization generally add half as many prospects to their pipeline, but win at least twice as many. Save time - Disqualifying a prospect means you can regain focus on the leads that matter. Declutter your pipeline - Clearing away the cobwebs will give you a realistic view of your your pipeline. Raise your response rate - Your breakup email may even jolt a response from your prospect. Breakup emails have the power to trigger relief or want in your prospect. Nothing like wanting what you can’t have! So when is the right time to say goodbye? After several discussions with your prospect, you still can’t get a clear answer on pain points, timelines, budget and who is actually involved in the decision making process. It’s likely that they are not ready to buy or can’t see the value in your solution. Stop wasting your time and move on. You had a productive conversation with your prospect, thought you were close to sealing the deal and then they go dark. You have followed up with several emails, multiple calls and voicemails. They are either very busy or they just don’t want to buy. Either way, it’s time to draw a line and move on. If they were just busy, it will likely elicit a response. If not, you can channel your energy into something worthwhile. You met with your prospect and really hit it off. It was a productive meeting and they saw value in your solution. They said they would be in touch to set up a meeting with the wider team, then silence. You have tried to schedule the next meeting but they refuse to commit to a time or consistently cancel. It’s safe to say you are not number one on their list of priorities. Call it a day let them know they can contact you if they change their mind. There is no ‘one size fits all’ formula for how much time you should spend pursuing a lead. The most important thing is understanding your potential customer. How qualified are they? Have they responded before? Are they willing to answer the hard questions? Using your knowledge, intuition and data is the best way to determine how much effort you should put in. Email tracking is a powerful way to use data to gauge interest. If your prospect is reading your emails, they may be worth a little more time. If you have a 0% open rate and no response, take the hint and say goodbye. Keep it short and to the point - If your prospect is not willing to take the time to respond, they are not going to read an essay on why you are breaking up with them. Remind them of the value you can bring - Highlighting their challenge and your solution may jog their memory of why they need you. Keep your tone professional - You don’t want to sound bitter or accusatory. Do let them how long you have been reaching out but take the high road and keep it positive. This is your last chance to win them over so put the best you out there. 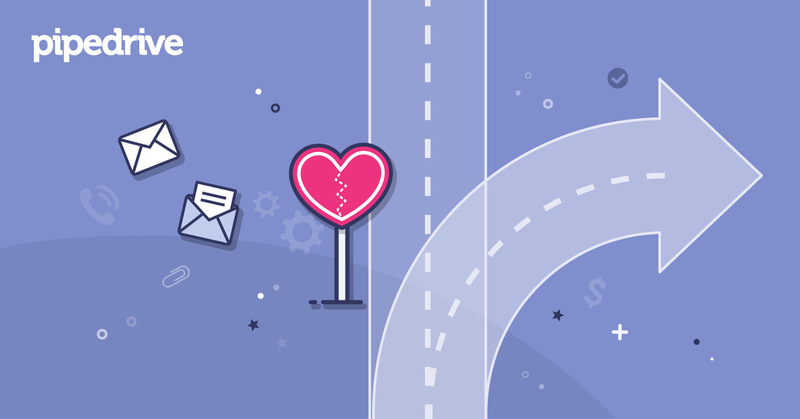 Get creative with your breakup email subject lines - Compelling or eye-catching subject lines will act as a teaser and entice your prospect to click. Add some value - Include a helpful resource to keep them ticking over until they are ready to talk. No hard feelings here, you just want to help. Set expectations - You won’t be following up anymore and the ball is in their court. To save you time, we have crafted some email templates to customize for your own use. Choose one that feels right for your company, your clients and your own sales personality. I haven’t heard back from you in a while so I’m going to assume your priorities have changed or you have chosen a different path. If I can be of assistance in the future, please don’t hesitate to reach out. Direct and to the point - There is nothing wrong with being a little blunt. Don’t be afraid to demonstrate that you value your own time. I hope you’re well. I’ve tried to connect several times to discuss [service/product] as a solution for [challenge]. I’m guessing the timing isn’t right for you. If you’re still interested in continuing our discussion, do let me know. If not, I’ll stop reaching out and wish you all the best with [objective]. Short but sweet - While it’s important to keep your breakup emails snappy, it’s wise to leave a positive impression and wish your prospect well. Don’t forget to include a reminder of how your solution can solve their pain point. It may just jog their memory and jerk a response. I wanted to reach out one more time. When we last we spoke it seemed like [service/product] was a fitting solution for [challenge]. Seeing as I haven’t heard back in a while, perhaps the timing isn’t right for you or you have gone in a different direction. In the meantime, here are some resources you may find helpful for [challenge]. If you’d like to continue our discussion in the future, I’d be happy to reconnect. Sincere and generous - Show your prospect that you genuinely want to help out and you’re not just out for the sale. Why not include a good will gesture and offer value in the way of resources? 4. Subject line: Can I close your file? Subject line: Can I close your file? I’m in the process of cleaning up my sales pipeline, but I wanted to reach out to you before I close your file. Since I haven’t heard from you in a while, I’m guessing you’re busy or your priorities have changed. If you’re not interested, let me know and I’ll continue to close your file. If you are still interested in how we can help you achieve [objective], what do you recommend as the next best step? Frank and informative - Explaining why you need to close the loop can help your prospect understand your sales process and why you need wrap up the conversation if they don’t respond. 5. Subject line: I guess this is goodbye? I’ve reached out to you a few times over the past couple of months to continue our discussion on how [service/product] could help you to achieve [objective]. If you’re still interested in exploring [service/product] or you feel a strangely sad that I can relate to Milhouse playing frisbee all alone [insert your own lonely gif related line], let’s reconnect. If not, I guess this really is goodbye. Keep it light-hearted - A little injection of humor can really brighten up a long day at the office. I recommend keeping this style for someone you have had a rapport with. It may just trigger the right emotion and serve to rekindle the relationship. Gifs or images are a fun way to add a little humor without being too cheesy. If you’re using a CRM, save yourself time by saving your email templates. This makes it easy to select your template, adapt it for your customer and send. Neil Patel once said ‘Winning provides happiness. Losing provides wisdom.’ Channel this mentality into how you approach lost deals with your team. Encourage your reps to include just as much detail on the closed lost deals as the closed won. Use your weekly team meetings to walk through any lost deals from the week before. It’s crucial to identify patterns and standardize the reasons for lost opportunities. A Contact Timeline is a key tool to track activity on your deals and provide insight into how you can improve your sales process. This will also help to define your ideal customer and refine your qualification process. As a sales manager, you must encourage a realistic pipeline and allow your team to see lost deals as an opportunity to learn. Empowering your team to call it day with the prospects who are draining their time will allow them to channel energy into the opportunities that matter. Getting tactical about losing will help you to generate more wins in the long run. Just like in any relationship, when one ends, a window opens for another. Although cold emailing can be a daunting icebreaker, our cold email templates will certainly offer a useful guide of how to get back in the game.